Every year, it seems new trends and strategies are introduced into the digital marketing field. Businesses that are trying to follow all the trends and keep up with their competition often feel overwhelmed. Although businesses do not need to follow each and every one of the recent trends to remain competitive and carry out effective digital marketing, they do need to watch the landscape and make use of new trends and strategies where they can be of benefit to the business. 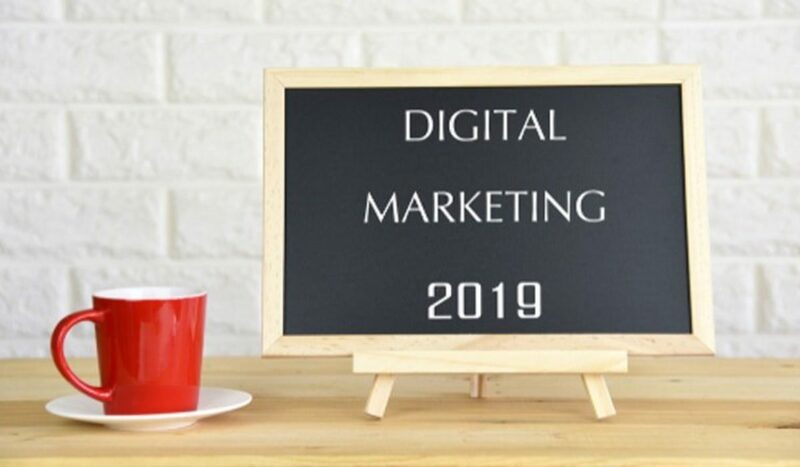 Some of the strategies that will have a major impact on the field of digital marketing in 2019 have been around and used consistently for years, while others are new and just now making a name in the industry. No business should miss opportunities by not exploring the best possibilities in new trends and strategies. Here are the top 5 strategies in digital marketing that will see growth and use by companies in 2019. This trend is focused on results, rather than simply following traditional processes. With growth hacking, companies employ small techniques and strategies, known as ‘hacks’, that are aimed at helping drive growth. Every technique that is employed, every tool that is used, and every strategy that is carried out is aimed at fulfilling the company’s desire to grow. Growth hackers view their purpose as fighting through the battlefield of digital marketing and getting ahead of the competition at any cost. Growth hacking will become more important in 2019 as companies become more focused on results. Inbound marketing has been around for a while, and it’s importance will not lessen in 2019. With this strategy, the content that you produce and the value that you can provide your customers is of paramount importance. It focuses on higher levels of production of personalized content. Inbound marketing is a long-term strategy for growth that focuses on attracting customers with the value that you can provide them, not just hitting them with a cool ad. More companies are making this long-term commitment their top priority. Automation is making its way into every industry, and digital marketing is no exception. Marketing automation allows companies to grow relationships and connections with prospective clients without having to dedicate the same amount of time and work that they used to. When your company makes the decision to focus on automating their systems, marketing automation becomes its own strategy and a large part of the entire business. Marketing automation will continue to grow throughout 2019. Marketers and companies have been finding new and innovative ways to make use of the medium of video for years. Devices with high-speed internet connections and the ability to stream HD video anywhere are common everywhere. Every single day, millions of hours of video content are watched online through places like Facebook and YouTube. With the recognition of the effectiveness of video, marketers are prioritizing video content. As companies with the budget to produce high-quality, professional video content grasp the value of video, we will see video marketing continue with huge growth in 2019. This practice is a part of the marketing automation trend that mentioned above. Chatbots are automated computer systems that can hold conversations with your customers. Although chatbot-powered customer service is still rather new to the digital marketing scene, it has a lot of potential as a marketing strategy and has received a lot of attention. This marketing automation strategy will continue to grow in 2019 as it finds more real-world applications. 2019 will certainly be a very interesting year in the field of digital marketing. Companies should keep their eye on the digital marketing landscape and take a close look at these five strategies to see where they might be able to benefit their business. Bython Media aims to offer solutions that keep you and your brand on the cutting edge of growth in digital marketing. Want to see how we can help? Connect with us today.